Manchester United intend to hold onto out-of-form forward Alexis Sanchez. Unlike most of his teammates, the Chilean international has failed to improve since Ole Gunnar Solskjaer told over the Old Trafford helm, and he continues to struggle to this day. The 30-year-old has scored as well as assisted a mere 5 goals this season – an output that is extremely poor from a superstar who gets paid a mammoth £400,000-a-week. Alexis has spectacularly failed to perform on the pitch, and his humongous salary has caused Manchester United a lot of trouble off it as well. Not only has Sanchez’s lucrative deal completely ruined the Mancunian giants’ wage structure, but it has also motivated the players from the current squad to demand inflated wages from the club. The most likely beneficiary of this development could be none other that David De Gea, whose representatives want Manchester United to hike the Spaniard’s salary and take it on par with that of Alexis if they wish to hold onto the star shot-stopper. 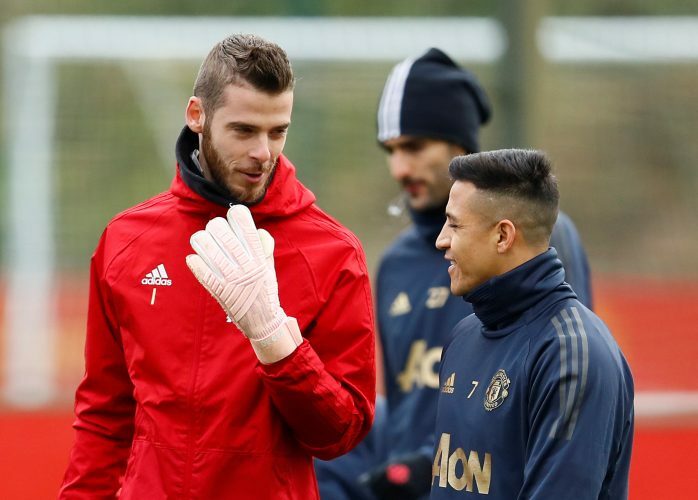 Despite the difficulties the Chilean forward has indirectly caused in De Gea’s contract negotiations, the Red Devils surprisingly have no intention of offloading Sanchez just yet, report the Evening Standard. The 20-time English champions have not received any legit interest in the winger from the Chinese Super League, whereas potential swap deals involving the former Barcelona star have also been completely ruled out. Therefore, United have now decided to keep Alexis, in the hopes that Ole Gunnar Solskjaer can retry getting the best out of the player once he returns to full fitness.